ryan mentioned that he had not had chocolate zucchini cake in years, so i thought it would be perfect to surprise him with some. so, while he was working on sunday i whipped up a batch. instead of making one cake, i split the batter between two loaf pans. one loaf for us and one loaf for my parents. it's nice to share. this cake was a pleasant surprise. 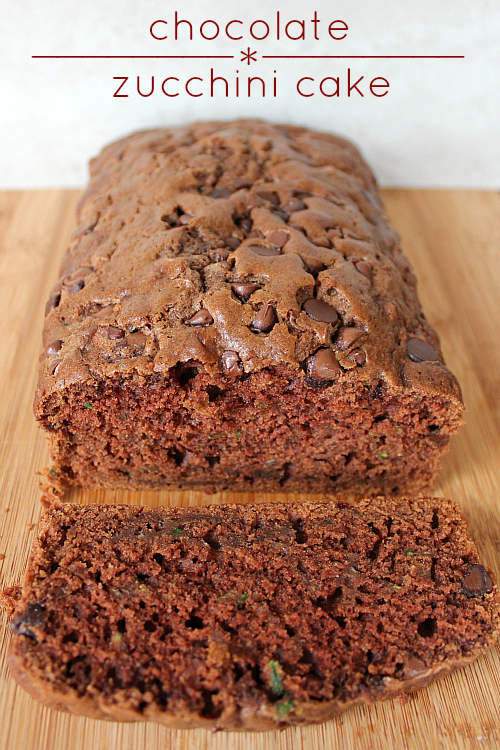 it was super moist and it had a great chocolate flavor. the shredded zucchini provided little pops of green color too! 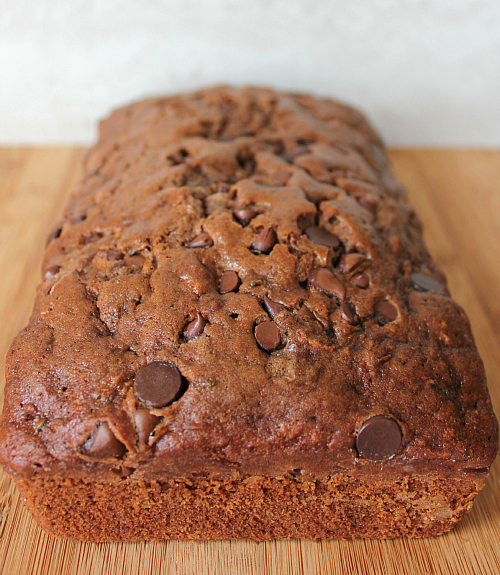 this recipe is a great way to sneak a vegetable into your dessert! preheat your oven to 325 degrees F. in a large bowl cream the butter, oil, and sugar together until light and fluffy. add the eggs, one at a time, beating well after each addition. stir in the vanilla. add the cocoa powder and beat well. sift the flour and the baking soda into a separate bowl. add the sifted flour alternately with the buttermilk. stir in the shredded zucchini. divide the batter evenly between two loaf pans greased and floured or lined with parchment paper. 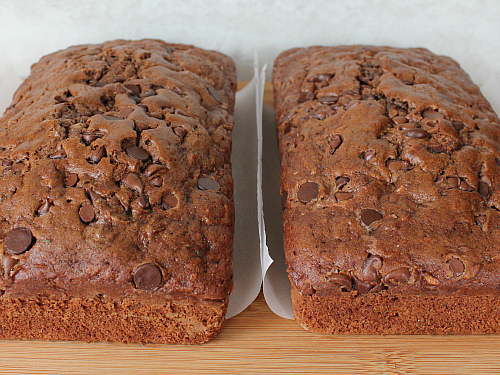 spread 1/4 cup of chocolate chips over the top of each loaf. bake for 45-50 minutes, or until a knife inserted into the center of the cake comes out clean. once baked, allow the cake to cool in the pans for 10 minutes before removing them from the pans and transferring them to a wire rack to finish cooling. I really liked that recipe. It was not overly sweet and had a nice chocolate flavor without being overpowering. You did not feel guilty when grabbing another piece and it hit the spot with a cup of coffee or tea.